Quakelive Reddit channel organizes a Newbie Duel tournament on Sunday 13:00 GMT, 14 December 2014. Read the official announcement and rules here. +1-month token given to a random participant. 14th December, Check-in opens at 13:00 CET, tourney begins at 14:00 CET. Must have a QL account older than 1 month. Current QLRanks ELO must be less than 1250, with a maximum ELO no higher than 1350. 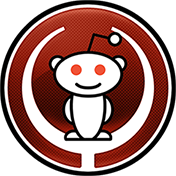 You can check-in at our irc channel #qlreddit@quakenet by PM’ing ‘crazyal‘ or ‘tepes‘. Winner of cointoss chooses who picks first. Both players pick one map then remove maps until one tie breaker map remains. QLReddit livestream If anyone feels confident enough to come on stream and cast some games, feel free to contact ‘crazyal’.